Warren Wolf performs on campus Feb. 9-10 as part of the annual Emory Jazz Fest. Photo by Anna Webber. This February, Arts at Emory delights the Emory community with a variety of events in the visual and performing arts including Jazz Fest 2018, the Playwriting Center at Theater Emory’s Brave New Works festival and a reading from U.S. Poet Laureate Tracy K. Smith. The Emory Creative Writing Program presents a colloquium and reading from poet Erica Dawson, Feb. 7, at 2 p.m. and 6:30 p.m. respectively. Dawson is the author of two collections of poetry: “The Small Blades Hurt,” winner of the 2016 Poets' Prize, and “Big-Eyed Afraid,” winner of the 2006 Anthony Hecht Prize. On Feb. 27, the Creative Writing Program presents a joint reading from Emory’s current Creative Writing Fellow in Poetry, Michael Marberry, and Creative Writing Fellow in Fiction, Cassie Gonzales. This month, the Department of Film and Media Studies continues the spring Emory Cinematheque Series “Black Lives on the Small Screen” with “Eyes on the Prize” (1987) on Feb. 7, “4 Little Girls” (1997) on Feb. 14, “Black Is…Black Ain’t” (1995) on Feb. 21, and “13th” (2006) on Feb. 28. All screenings take place in White Hall, room 208, at 7:30 p.m. and are free and open to the public. Music at Emory offers many free and ticketed concerts this month including the Candler Concert Series performance by famed mezzo-soprano Susan Graham, Feb. 3, at 8 p.m. in the Emerson Concert Hall of the Schwartz Center for Performing Arts. Later in the month, the annual Jazz Fest returns with performances and master classes taking place on Emory’s campus. 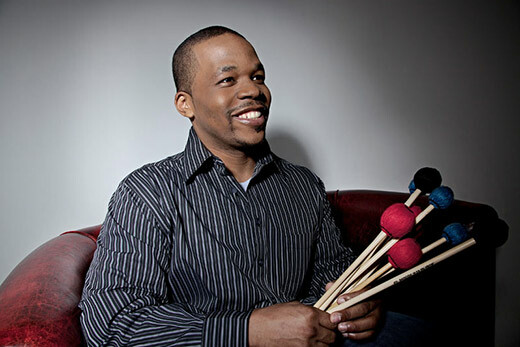 Warren Wolf, Peter Erskine, Darek Oles and Gary Motley join in concert on Feb. 9 at 8 p.m. in Emerson Concert Hall. On Feb. 10 at 8 p.m. the Emory Big Band and members of the Emory University Symphony Orchestra join famed jazz musicians onstage for Big Band Night. Visit arts.emory.edu for a full listing of Jazz Fest 2018 events. The Playwriting Center of Theater Emory’s biennial playwriting festival, Brave New Works, returns Feb. 2-17 in the Theater Lab of the Schwartz Center for Performing Arts. Featuring new plays and adaptations from faculty, students and Atlanta playwrights, Brave New Works brings professional writers, directors and composers together with casts of professional and student actors to workshop new work for the theater. Notable projects include the newest play from Emory University Playwriting Fellow Jiréh Breon Holder, “Kings are Killed” (Feb. 3); “A Road to a Dream: Scenes from Buford Highway” by playwright Mark Valdez (Feb. 10); and the Fellow’s Fellows presentation of student work (Feb. 16). All readings are free and open to the public, but reservations are requested. Tracy K. Smith, the 22nd U.S. Poet Laureate and Pulitzer Prize-winning poet, delivers a reading of her work Feb. 17 at 4 p.m. in the Emerson Concert Hall of the Schwartz Center for Performing Arts. This reading is a part of the Emory University Libraries’ Raymond Danowski Poetry Library Reading Series and is free and open to the public. No tickets are required.